Most people understand that plastic injection molding sounds important, but few realize just how much plastic molding affects their daily lives. Plastic injection molding is used for all kinds of items. 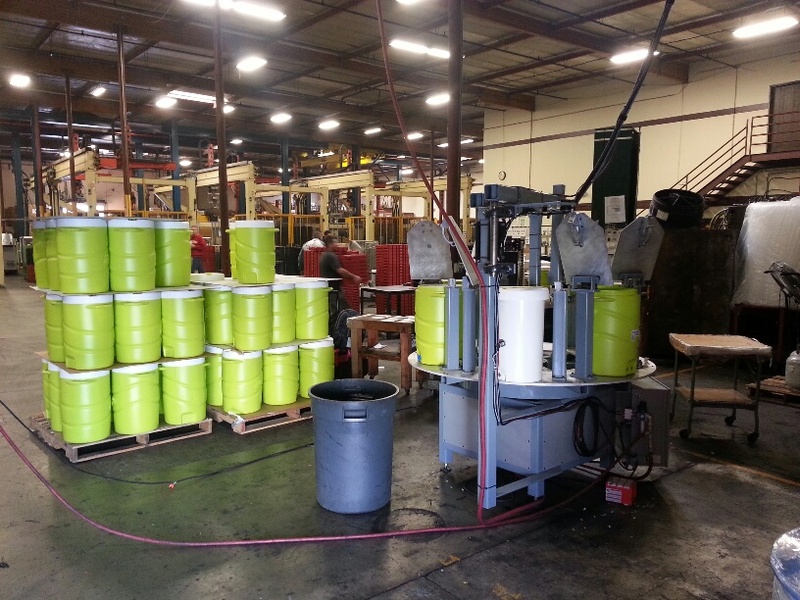 Everything from toys to household staples to industrial products is manufactured using plastic molding. That is why it is so important to have a plastic injection molding company like Universal Plastic Mold (UPM) that can provide quality products clients can trust. For many customers, finding a plastic molder that can work with them and manufacture their products at a quality level they can be proud of, and on an efficient timeline that works for them can be a challenge. This lack of trust is precisely the problem that Double Cooler ran into when trying to manufacture its revolutionary product. 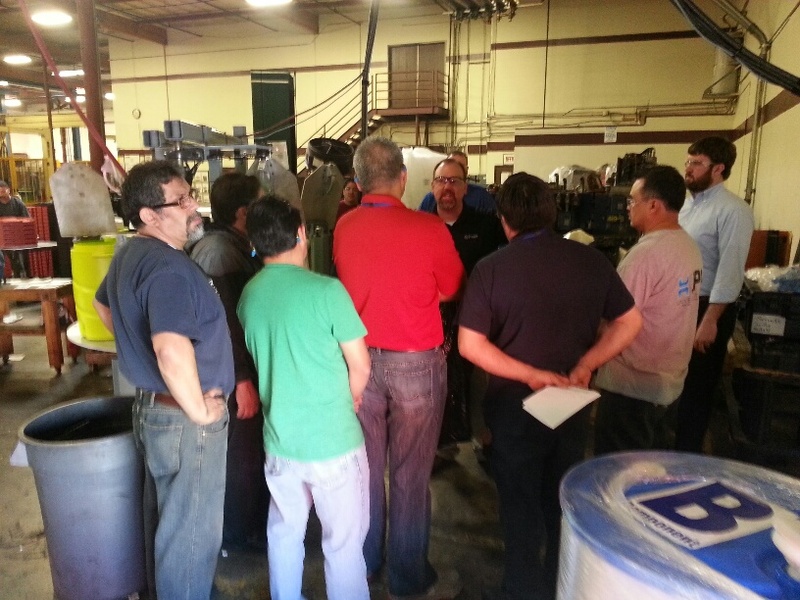 Thankfully, UPM had the right solutions to help make Double Cooler’s product successful. Double Cooler had developed its innovative cooler design and gotten a patent on it, but the company required a manufacturer that could help with production and assembly. Double Cooler inventor and owner, Marc Strickland, explained how he felt taken advantage of by other businesses in the industry and needed to find a plastic injection molder he could trust that would work together with him. “I have a patented product, and I need a blow molder and an injection molder to get it done,” said Strickland. That is where Universal Plastic Mold came in. Universal Plastic Mold explained how they look forward to working directly with clients to help them realize the products they have designed. “Our overall attitude about it is that we want to help (our clients) fine-tune and design it so that they can build it economically and bring it to market,” said Ashleigh. Because of the unique, double-walled design of the Double Cooler, it required both plastic injection molding as well as blow molding. The design allows for a cooler that can hold two different liquids while also keeping ice separate, preventing dilution of drinks in the primary reservoir. However, this design made the project particularly tough for other companies who were unwilling or unable make the product as the client had envisioned it. 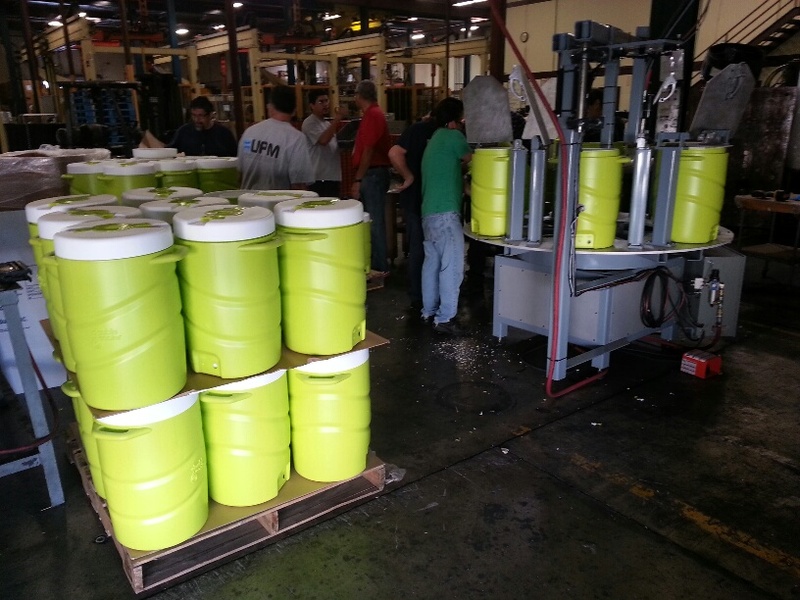 Universal Plastic Mold worked with Double Cooler to entirely manufacture and assemble a product the client was comfortable to bring to market. These clients include major retailers across the country including Amazon, Home Depot, and much more. 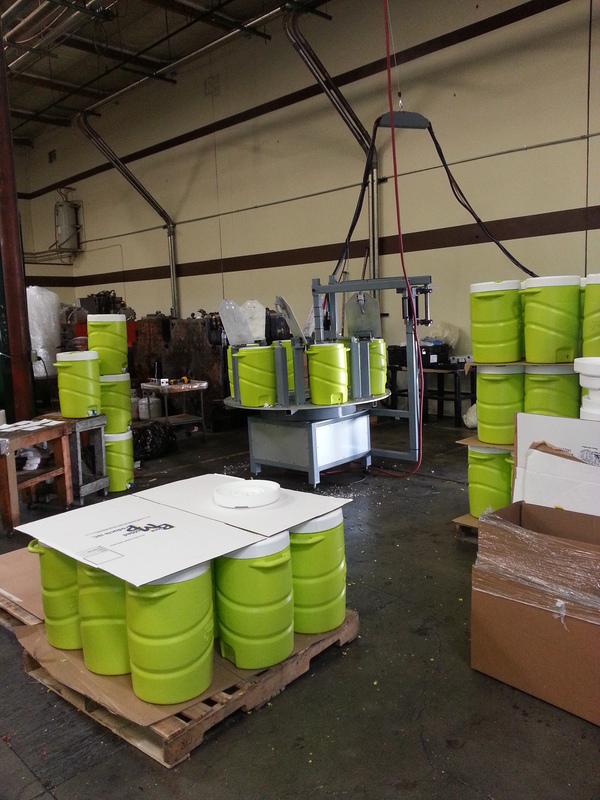 Much of this success stems from the technology and space Universal Plastic Mold has at its California location. Thanks to its expansive 127,000 square foot facility, UPM was able to have the real estate necessary to assemble and warehouse products in-house before shipping them out to retailers. With 37 injection molding machines up to 2,000 tons and 30,000 tons of clamping force on site, UPM has the large part, high tonnage equipment to handle any job. This capacity creates a more efficient pathway from manufacturer to consumer and makes for a faster overall production process. Where other plastic molding companies frequently contract third-party associates for assembly or outsource actual development to overseas countries like China, all of Universal Plastic Mold’s construction and assembly are handled right here in the United States. This focus on domestic manufacturing and American-made products results in a closer relationship with clients in addition to savings. 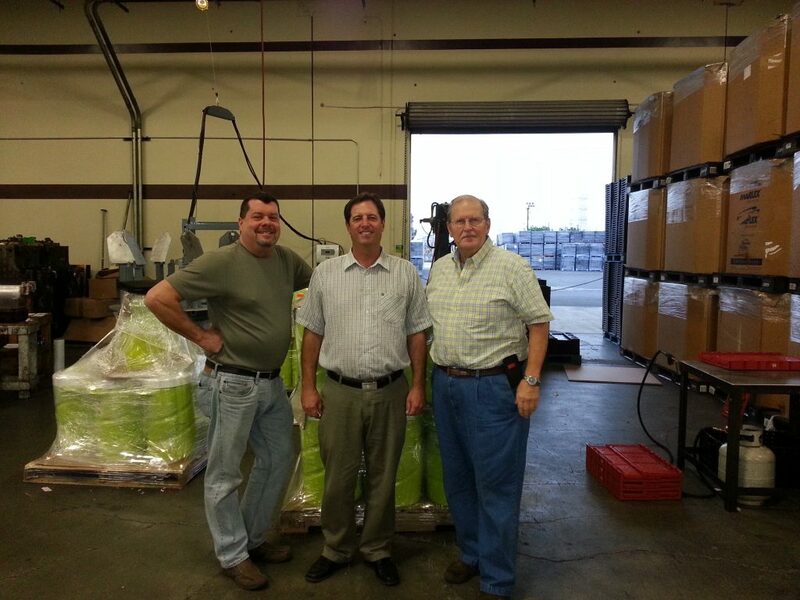 After years of working together, Universal Plastic Mold has helped Double Cooler establish a foothold in the competitive cooler marketplace. This progress has led to a joint marketing program with Sqwincher; a successful sports drink marketed to professional and industrial consumers, that has quadrupled the demand for the product. The result is one delighted client, and an excellent example of the lengths UPM will go to meet the needs of its customers.